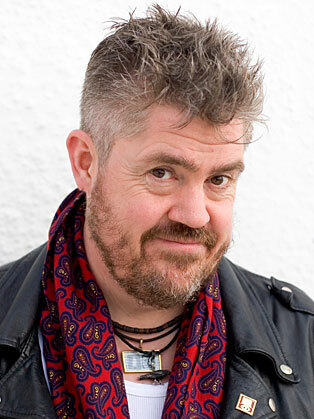 Phill Jupitus began his career as a Civil Servant for the Department of Health and Social Security, however this only lasted five years and he began writing punk poetry and decided to quit his job and pursue another career path. Phill began performing his punk poetry, supporting bands such as Housemartins and Billy Bragg. A few years later, Phill began working for a music label called Go! Discs and was the Housemartins press officer. As a performer, Phill had two successful UK tours and in 2010 he was asked to be part of the Glastonbury Comedy line-up. He then began presenting his own radio show on BBC Greater London and also directed a few music videos before he appeared in front of the camera. His television career began in 1996 when he was asked to be a judge on Never Mind the Buzzcocks. Since then he has appeared on Channel 4’s “Top Ten” and the BBC One Show “It’s Only TV but I Like It”. Phill has hosted prestigious events such as the BAFTA Interactive Entertainment Awards, Q Awards and the Empire Awards. His experience as a performer has aided him to become an entertaining and accomplished awards host.